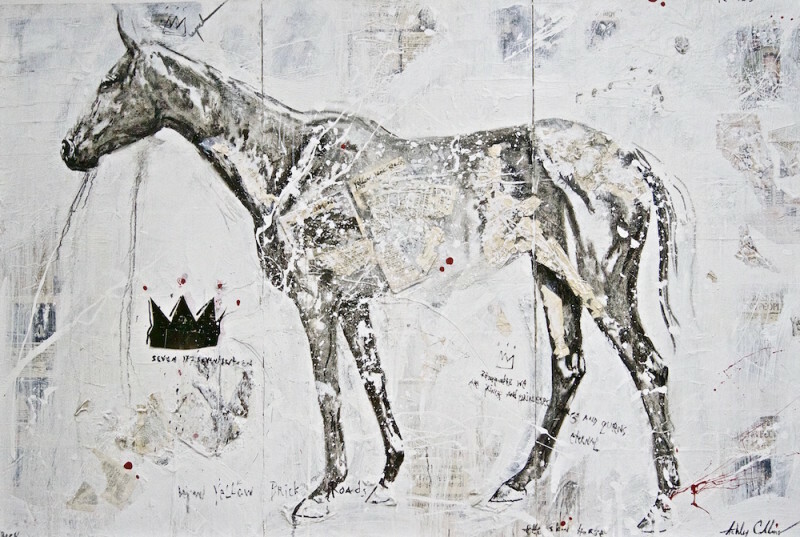 Altamira Fine Art Jackson is pleased to present the gallery's first exhibition for contemporary artist Ashley Collins. Collins has made a journey from homelessness, to becoming one of the top female contemporary painters in America, with work in prominent collections world wide. She recently joined Georgia O’Keeffe by being inducted into the prestigious Cowgirl Museum and Hall of Fame in Fort Worth, Texas. Meet the Artist at the show reception Thursday, August 2 from 5:30-7:30pm at our Jackson Hole location. History lays beneath all of Ashley Collin’s paintings. History felt and charted, history personal and public. History both grand and gestural. 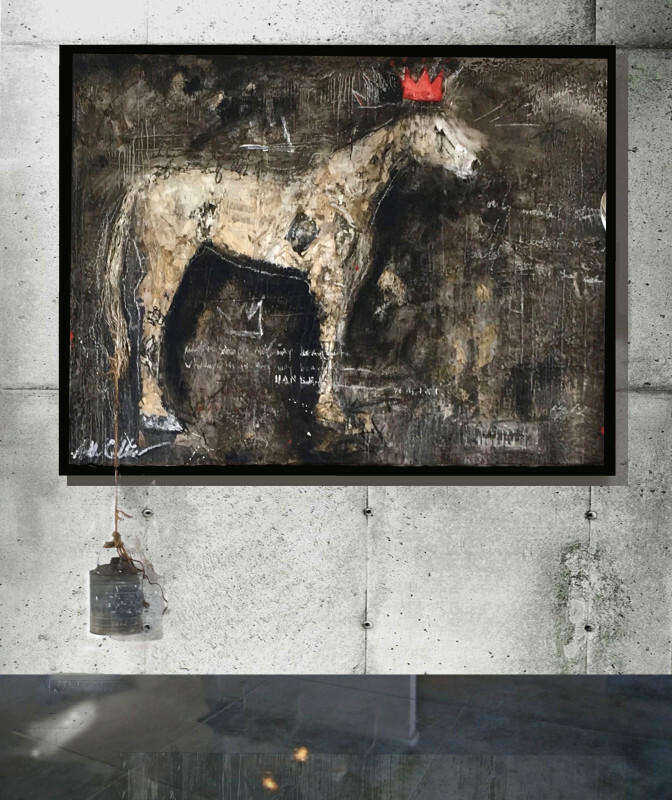 It is the echoes of history which inform her sweeping presentation of new paintings at Altamira Fine Art. Consider the anecdote underpinning the history of photography: In 1853, William Henry Fox Talbot created the first photo negative by way of tinkering with salt and silver nitrate—an image as humble as it was historic, imprinting the interior view of a simple latticed window at Lacock Abbey in England. For Collins, the takeaway was not so much the image but rather how the smallest gesture of a single individual can alter the world. Inspired by this profound anecdote, Collins wanted to paint in homage to this moment, to this astounding power we each possess. So she altered her world by upending her process, starting as she does with layers upon layers of both aged and historic pages but then coating the palimpsest in white paint. A blank canvas with history at its core. Thus primed, she set about creating not the positive image but rather the negative, the shadows within an equine silhouette rather than the light. The result: Radiant silhouettes emerging from darkness, a space textured by the turbulence of history. Turbulent history—and the personal form it takes—has always been the medium through which Collins makes beauty. Collins has fought her way as an artist with fists full of love. Not even the dire straits of living and painting alone in Los Angeles—the hardship and the abuse of homelessness did not embitter her: When she finally sold her first painting, she donated half of her profit to people living with AIDS. As she continues to do, sharing her time and money with organizations helping women and children around the world. The hope imbedded in her personal history radiates from each canvas. Ever patient, she lets each mixed media piece evolve over months, even years. 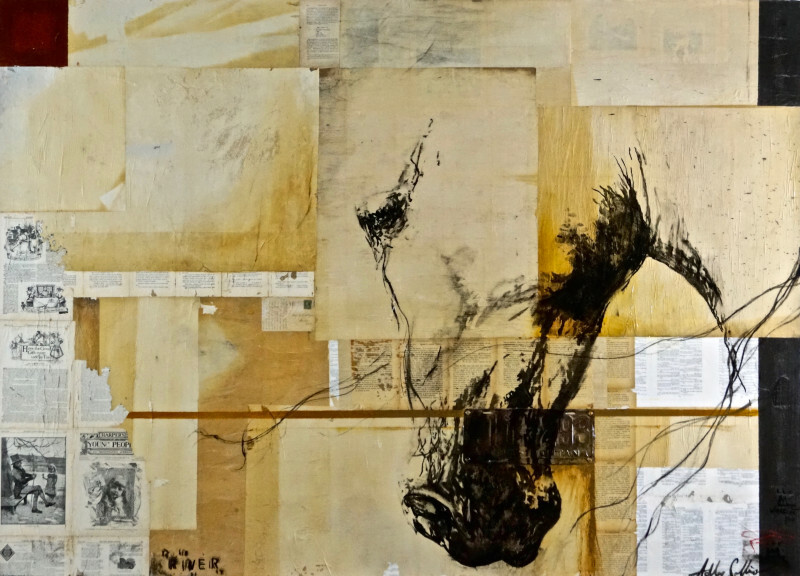 Working on multiple panels at once, she builds up tonal layers of pages pulled from children’s books, dictionaries and hymnals, then aged by the elements outside at her ranch in California. By her hand, the weathered pages appear timeless, capsules of individual narratives and universal truths. Atop certain colorfields, she paints graceful silhouettes. At the end, she spreads resin across the surface with a blowtorch—a glassine lens that reveals a mysterious topography of buried imagery, ever welcoming the unknown, as she has done throughout her life. Collins and her work, as an artist and a humanitarian, appears when needed most—now and evermore. To read more about Ashley's humanitarian efforts, visit the Giving page on her website here. Echoes runs from July 30 to August 11 at Altamira Fine Art; Collins celebrates with collectors at an Artist Reception from 5:30 to 7:30pm on August 2. For more information on the exhibit and Collins, please contact Altamira Fine Art by email (connect@AltamiraArt.com) or phone (307-739-4700).